For people who are passionate about looking after the environment, a ‘green funeral’ is a great way to ensure they continue to minimise their impact on the earth once they have passed away. Traditional burials and cremations are the most common ways of disposing of the dead, but they don’t always represent the most environmentally friendly option. A green funeral is an increasingly popular alternative to a traditional burial, and aims to keep the environmental impact of the ceremony to a minimum. Instead of burying the deceased in a cemetery, the preference is for a natural burial ground. This means that instead of using solid wood coffins and embalming chemicals, the body is covered with a biodegradable shroud or coffin, and laid to rest where it will decompose and naturally become part of the earth. 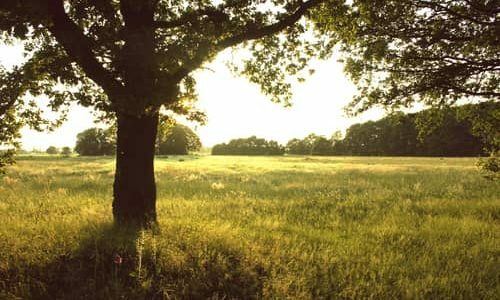 The Natural Death Centre is an excellent resource for planning a green funeral, and also runs the Association of Natural Burial Grounds, which is an organisation that sets the standard for the growing number of green and environmentally friendly cemeteries in the UK. Here are a few other ways to support a green funeral. Natural burial in a biodegradable coffin reduces carbon emissions by 50 percent compared with traditional burials, according to the Natural Death Centre. There are a variety of options when it comes to eco-friendly coffins, including cardboard, Fair Trade-certified bamboo, hand-woven willow, banana leaf, seagrass, rattan and wool. dissolving bodies in an alkaline solution. It’s already practiced in the US and Canada, and should be available in the UK soon. However, if you do decide to go ahead with a traditional cremation, it is possible make an environmentally conscious urn choice. This means an urn made from leaves, pine needles and even salt. And, if you want to bury the ashes, there are biodegradable urns that can be planted. Made from a coconut shell and filled compacted peat and the seeds of a tree of your picking, once planted, the seeds will germinate and over the years a beautiful tree will grow as a lasting tribute to your loved one. There are several other ways to ensure a funeral is as environmentally friendly as possible. Ask that people pick flowers from their garden, rather than buying blooms that might not be local, and avoid non-biodegradable plastic wrapping. In addition, print the order of service on recycled paper, or simply display it at the entrance to the ceremony on a blackboard. And instead of hiring vehicles, ask guests to car share if transportation to and from the ceremony and burial site is required. Your chosen funeral director can play a huge part in setting the tone of your ceremony, so reach out to local funeral directors through our comparison service and enquire about their experience of planning green funerals.